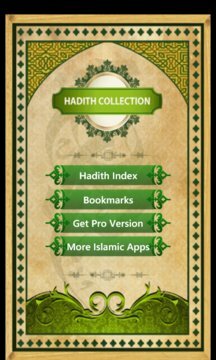 Access THOUSANDS of Hadiths from the authentic collection of Bukhari, Muslim, Abu Dawud, Tirmidhi, Nasa'i, Ibn Majah and more on you're Windows Phone! >> Tags - Create tags like: (Prayer, Hajj, Fasting, Zakaat or specify you're own) and tag hadiths to them! 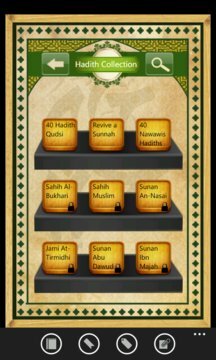 >> Notes - Add you're own notes to any Hadith for future reference!